Colourpop cosmetics is one brand that many go ga-ga over it no matter how many times they launched the same shades in different name and collection. It is actually one international brand that comes up at an affordable price. The packaging of products from Colourpop cosmetics sometimes is so cute that you can't ignore them. The collection consists of 14 products in it from which I grab four beautiful lipsticks in a different texture. LOCK DIARY (ULTRA SATIN LIQUID LIPSTICK). MILK BOTTLE (ULTRA MATTE LIQUID LIPSTICK). RIBBON (ULTRA MATTE LIQUID LIPSTICK). DATE MATE (MATTE X LIPPIE STIX). The liquid lipstick was priced $6 whereas the lippie stix was priced $5. Now, this is really a good thing about Colourpop that I love that no matter whether it is limited edition collection or not the price range are always affordable one. LOCK DIARY (ULTRA SATIN LIQUID LIPSTICK): It is bright, medium-dark raspberry pink/ deep fuchsia pink with cool undertones and a satin finish. MILK BOTTLE (ULTRA MATTE LIQUID LIPSTICK): It is a beautiful mid-tone pink and a matte finish. RIBBON (ULTRA MATTE LIQUID LIPSTICK): It is a bright blue red and a matte finish. DATE MATE (MATTE X LIPPIE STIX): - It is a cool fuchsia with a matte finish lippie stix. The ultra matte liquid lipsticks of colourpop are generally very drying on lips. And with gradual time it turns super matte in texture. But both the matte liquid lipsticks MILK BOTTLE and RIBBON are quite comfortable on lips. The shade MILK BOTTLE looks neutral pink on lips just after application but after few minutes it turns out a bit darker but RIBBON doesn't have such quality of darkening with time. The shade MILK BOTTLE is perfect for fair skin tone beauties only while RIBBON work great across all skin tone. Both the lipsticks stay pretty 5 hours or more but after 3-4 hours I feel my lips are getting drier with every minute. So I prefer to apply a matte lip balm on top of it to make it comfortable for few more hours. The ultra satin liquid lipsticks are generally very comfortable on lips compare to matte one. So LOCK DIARY which is an ultra-satin liquid lipstick goes perfectly on every dry lip. The shade is a versatile deep fuchsia pink that will look good on all skin tones. The lipstick stays pretty 4 hours on my lips without drying my lips further. But without a proper lip liner, this liquid lipstick tend to bleed a bit from the outer corner of lips during summer. So I always use a lip liner followed by ultra satin lipsticks during summer. The lippie stix of colourpop from the matte x range are my favorite range of lipsticks. I have almost all lippie stix from the matte x range of colourpop. So it was very obvious that when colourpop launched a new lippie stix in their matte x range that too a beautiful pink I grab it without giving it a second thought. The lippie stix is matte in texture but it glides super smoothly on lips and it stays pretty 6 hours on my lips or more. It fades a bit if you intake any oily food else it survives well in all small snacks and drinks. LOCK DIARY is actually nearest dupe is SUGAR COSMETICS liquid lipstick "BRINK OF PINK" (Reviewed here). The former one is 85% similar to the later one as LOCK DIARY has the slight sheen in it which is not present in the later one. The next nearest dupe of "LOCK DIARY" is all from COLOURPOP COSMETICS lippie stix "I heart this". MILK BOTTLE can be an easy dupe of SUGAR COSMETICS LIQUID LIPSTICKS SAUVE MAUVE (Reviewed here) or Kylie Cosmetics POISE K (reviewed here ). 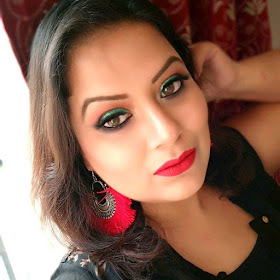 RIBBON has a huge range of red lipstick dupe list. One of the famous ones is MAC RUSSIAN RED. 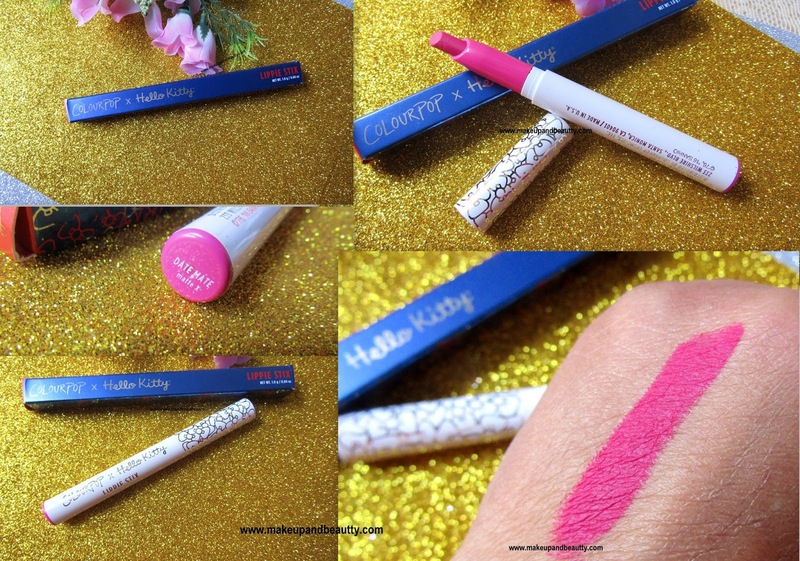 Another dupe one is COLOURPOP COSMETICS matte X lippie stix "TRUST ME" (REVIEWED HERE ). DATE MATE is almost same to COLOURPOP MATTE X lippie stix POPPIN (Reviewed here ). As this collection is a limited edition one but the dupe listed lipsticks are the permanent one. So you can grab the dupe one if you miss this collection. That's all for today. Until next time.